With its DIY features, ECOffin is ideal for Pandemic, Disaster and Emergency use. In crisis times, they provide dignity for the dead. Furthermore, as they are energy-efficient in transportation and cremation, they help to manage the threat, arising from decomposing corpses, to public health. Governments may stock-pile these as they offer ease of handling, storage and logistics in land-scarce cities (a typical 40-footer container can store thrice the usual capacity of pre-assembled wooden coffins and yet with a reduction in total weight). 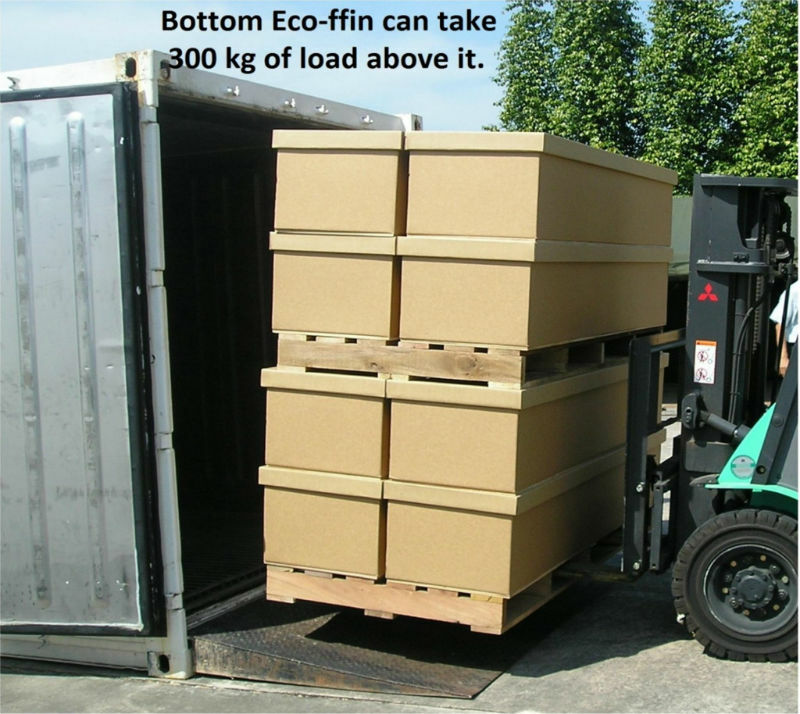 Bulk flat-packed ECOffins may be used in disaster relief efforts. Ease of assembly on-site (<5 minutes). Contact us for more info on bulk orders.